All Library reserves, including audio/visual, are located at the Circulation desk on the 1st floor. Electronic reserves may be accessed from any computer on campus. Course Reserves are not intended to replace Faculty Course Packs or to substitute for the purchase of books, journals or publisher's reprints. Professors may fill out forms to have items put on either physical or electronic reserves. Faculty can access these forms by visiting the Library page on MyDenison. A note about Copyright: The Library requires that all reserve materials must comply with Copyright Law and Fair Use Guidelines. 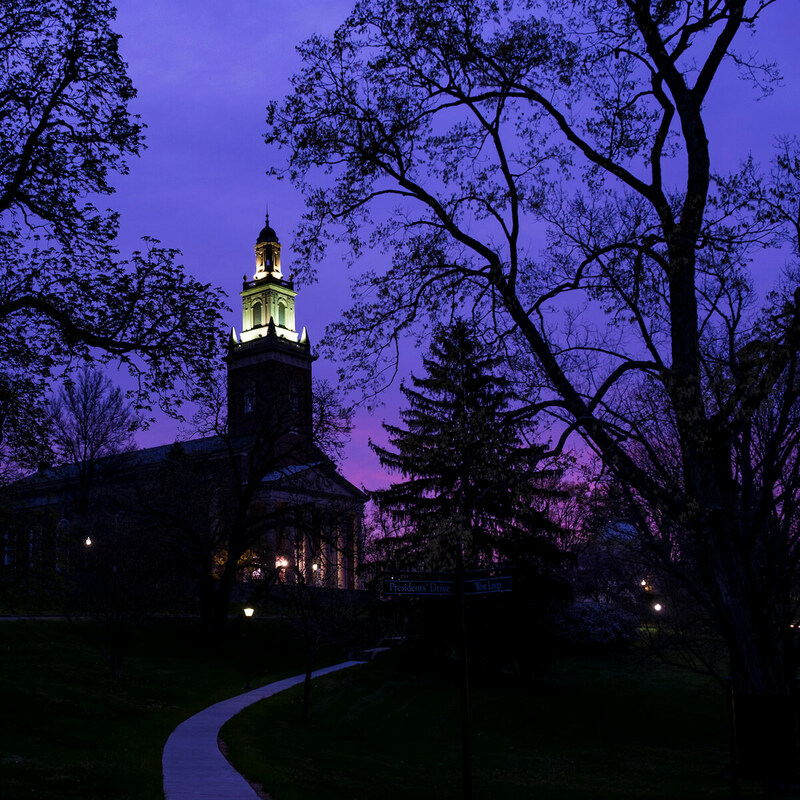 For information about the Library's interpretations of copyright and fair use (as applied to a variety of media), see Denison's Copyright Policies. Electronic Reserves (ERes) is an option for faculty Reserves. Articles or portions of books may be scanned and stored in the ERes system, allowing simultaneous, secure (password-protected) access to multiple students, 24/7, from any computer connected to the Internet. This system is for the use of Fair Use items only. E-Reserves assists faculty and teaching staff with providing supplementary course reading material for students. Unsure about what can go on ERes? Use Bill Kirkpatrick's flow chart to help you decide. Guidelines to follow for requesting Eres for your course(s). Use the Course Reserves Request Form to accompany your request. You can access this form by visiting the Library's channel on MyDenison. Please send us clean one-sided 8 x 11 copies of articles. All articles must be accompanied by a copy of the title and copyright pages for bibliographic information. NOTE: Check your copies for “missing pages” or “cut off” pages. Please submit a syllabus and let us know if you would like articles arranged in a particular order or in folders. Provide a password for your ERes course (no words from course name or title). Please submit all materials as soon as possible and note those needed for the first week of classes. The library can no longer provide copyright clearance for the reuse of articles that require copyright payments. If you need to reuse articles, please speak to the bookstore about creating a course pack for your students. See the Provost's Letter [doc] about this change. Materials can be added to your course throughout the semester. If you are using material the library owns for your Eres course (e.g., a book that is owned by the library), please consider putting the book on hard-copy reserve. This is an alternative to having students purchase course packs, as well as a means of having alternative avenues for access of information. Timeliness is much appreciated. We process materials in the order that they are received. Copyright: If you have questions about what items can be included in your E-reserves, please consult Pam Magelaner, Debby Andreadis, or your library liaison before submitting your request. What material cannot go on ERes? An excessive amount of material from a given work (we use a 10% guideline). Items borrowed from other libraries. If you have online journal articles or books, these will appear as links on ERes, so please provide the URL rather than a print copy. A portion of a book (not to exceed 10%) may be placed on Electronic Reserve once by a specific instructor without requesting copyright permission or paying charges. Copies of chapters may also be placed on Hard Copy Reserve. If the Denison Library, CONSORT, or the faculty member owns the book, the book itself—in its entirety—may be placed on Reserve for the semester without requesting copyright permission. The professor is responsible for providing clear, legible, single-sided photocopies of the portion of the book he/she wishes to place on Reserve, along with all the bibliographic information (author, title, publisher, date, ISBN). This information is all available on the copyright page of the item so a copy of that is sufficient. If using ERes, the faculty member must provide a password for student access which is not a portion of the class name. Copies of articles may be placed on Reserve (either in paper or in ERes) once per course taught by a specific instructor without requesting copyright permission or paying charges. Articles available online via our databases or subscriptions should be handled with a direct link which can be done through Blackboard or on the ERes system. Please let us know if you need assistance with this process. The professor is responsible for providing clear, legible photocopies of the article he/she wishes to place on Reserve, along with all the bibliographic information (author, title of article, title of journal, date, ISSN). If using ERes, the faculty member must provide a password for student access. Please note that you may not show a video to a group outside of a classroom setting unless it has public performance rights attached. Please let the library know if you plan to show a video and advertise it to a group to allow us to determine whether it has these rights. Thank you. Audiovisual materials from other libraries or rental companies may not be placed on Reserve at any time. Denison-owned Videos/DVDs: Due to the high demand for videos and DVDs, we discourage placing feature films or other popular media items on reserve for more than three weeks. However, we strongly encourage Video/DVD Booking. Booking guarantees that the item you want is available to use when needed. Contact the Circulation Supervisor on duty (x6235), as early as possible to reserve items. Please let the Circulation Supervisor know the title of the item, the date(s) it will be needed, the call number, and whether it will be held on the Reserve shelf, shown in the classroom, or shown in the Library Viewing Room, E-204 (on the 2nd Floor). Denison-owned Sound Recordings: CDs, cassettes, and LPs may be placed on Reserve for the semester. Personally-owned Audiovisual Materials: Must be privately purchased, original recordings. Duplications will not be accepted for Reserve. Items may be placed on Reserve for the semester. Video or Audio Tapes of Denison University Programs: Recitals, lectures, performances, etc. may be placed on Reserve for up to 30 days. Off-Air Recordings: Recordings of broadcast programs may be used once and may be placed on Reserve for up to 10 days. The video may be retained by the professor for 45 days, while he/she decides whether to purchase an authorized copy. At the end of the 45-day retention period, the video must be erased or destroyed. Reservations for the Library Viewing Room must be made in advance by contacting the Circulation Supervisor on duty (x6235). The Circulation Supervisor can verify availability, and videos or DVDs can be booked at the same time.